Effective water tank cleaning is essential in helping to achieve and maintain high standards of quality, cleanliness, and efficiency. But due to their structure, tanks can be difficult and hazardous to clean.Water is the most important liquid to sustain life on this planet. We use water in every sphere of life like drinking, bathing etc. So it becomes more important to store this water in a clean and hygienic environment. The same water can be a cause of several diseases like malaria if infected with bacteria, fungus, and other disease-causing creatures. Neglected water tanks, reservoirs are vulnerable to the spread of disease, as bacteria can multiply where conditions in water systems are allowed to deteriorate. 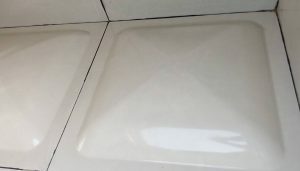 As the water cleaners, we understand the concerns and recommend cleaning the water tank more than twice in a year. Rise up Dubai has experience of years and qualified personnel to deliver on the water tank cleaning services quickly and effectively. Our staff is highly trained to provide the best cleaning services keeping in mind the safety and environmental aspects of the work. No doubt, bacteria, algae, fungi, mold, mildew, Giardia, Cryptosporidia, amoebic cysts, and even microscopic worms, larvae and other undesirable animals and plants were far from your thoughts this mornings when you brushed your teeth…. With 10 years of experience within the water tank cleaning sector, Rise up is a one- stop solution for the complete water tank cleaning. 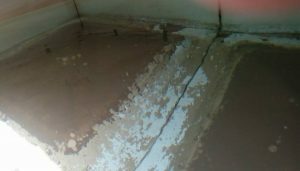 We will take every client through a process of Inspection to determine the extent of contamination of your water tank and best practice recommendations for the safe drainage of the water, cleaning and disinfection of the system and post-project reporting detailing the areas that were cleaned, with before and after photographs.